Medication-Assisted Treatment (MAT); in 12-step culture, these words are not welcomed in the rooms. Many people have had disheartening experiences that leave a not-so-friendly taste in their mouths. Those who identify with being in MAT are not considered to be in recovery when attending 12-step meetings and are cast aside. Many people who utilize these services feel more alone then when they were in active addiction, in part because people shed their own views and beliefs onto them and ostracize anyone who chooses this pathway. 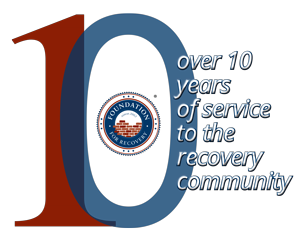 The concept of multiple pathways to recovery was birthed during the Recovery Advocacy Movement in the early 2000’s. Leaders in the movement identified several ways in which anyone can find recovery. Recovery can be generated within 12-step meetings, faith-based or cultural-based groups, secular supports, online recovery resources, fitness-based recovery, artistic recovery, family recovery, peer-based recovery support services, and the hard pill to swallow, MAT. How wonderful it is that based on a person’s needs and desires, they can so freely choose what direction they want to head in? Sounds simple, yet society’s idea of what recovery should look like needs a good brainwashing! If we continue to live close-minded, we will continue to lose our loved ones and our city to substance use. We need a good cleanse of self-righteousness and ego in order to help our community find hope. Working for a Recovery Community Organization, where we strongly encourage anyone to choose their own pathway to recovery has genuinely opened my eyes to what MAT can do for people. A friend of mine structures groups around recovery and support systems in a local MAT agency. During a discussion, she was able to use many of her clients’ stories as examples of antidotes on how MAT can truly help those seeking recovery. For me, the hook line and sinker in this debate was when she schooled me that MAT could be a temporary pathway to recovery, or a long-term pathway. However, there is no hope for a person when they are dead. Many who are willing to seek this treatment have made some kind of a decision of change, and we should support them in that journey. This idea really hit home for me. Much like anything else in life, there’s several ways to get to a destination. By providing compassion and understanding, we can help others navigate their own path to peace.